Mayfield Toyota has a state-of-the-art Toyota service centre with the latest tools and technologies to repair your vehicle, and we service all makes and models. We are equipped to perform a variety of repair procedures from engine and transmission repair to professional windshield repair. Our service department is staffed with highly-trained auto technicians who will properly identify and repair your vehicle’s problem. To schedule your repairs at our West Edmonton location, please complete our online service appintment form and we will get you into our facility as soon as possible. Whether you need a tune up or major Toyota repair you can trust the quality of service you’ll receive at the Mayfield Toyota Service Shop. Visit us today and take care of all of your auto needs. 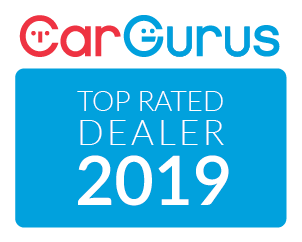 We serve customers from Edmonton and the surrounding areas of St. Albert, Spruce Grove, Sherwood Park, and Stony Plain, and we service almost all makes and models. 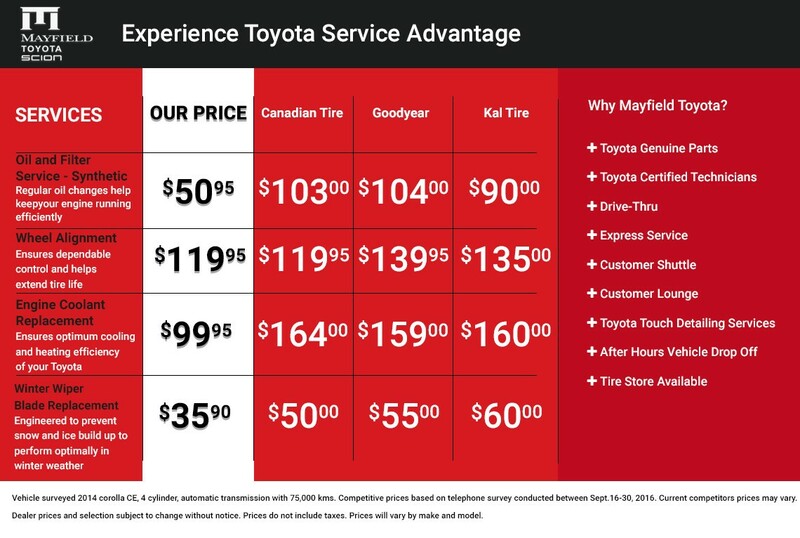 Visit us today and discover the difference of quality service at Mayfield Toyota! Looking for Toyota detailing in Edmonton? Mayfield Toyota’s car wash & detailing service leaves your vehicle fresh and renewed, and we have a number of car and truck detailing packages available for your needs. Drop in for your car or truck wash today! Contact our Service Department directly at 780-483-2121! Mayfield Toyota Scion has competitive oil change prices on your essential warranty-approved oil change service. Your car needs an oil change at least once a year or more often depending on the number of kilometers you drive and your vehicle model. Book your appointment online and get a cheap oil change at Mayfield Toyota! *Varies for year and model; for minimum maintenance requirements, consult your owner’s manual. Please Contact our Service Department for details on the maintenance schedule of your Toyota vehicle.